Don't let the term 'Studio' fool you. It has 619 square feet of enjoyment contained in this condo. This spacious unit is well equipped, and has been completely renovated with modern upgrades and appointments. This unit boasts granite counter tops and new cabinets in both the kitchen and the bath, stainless steel appliances, and new sinks and fixtures. The furnishings are lush, including a king size bed and a queen sleeper sofa. This studio sits on the 4th floor of Beachside II and offers stunning views of the Gulf of Mexico, unforgettable sunsets, and convenient access to the beach. We stay in this condo all the time. We continue to return. great location, Space and easy booking. Great for couple. Great place. Perfect for my husband and I. Not sure it would be comfortably big enough for four but still amazing for our anniversary trip. Literally right on the beach. Took 1 minute to get there or less. Everything was in pristine condition at the condo. Everyone was friendly. The location was great and super easy to locate. Would definitely recommend and definitely would love to stay here again. We had so much fun while at Destin. This rental is in the perfect location! Our room was perfect for the three of us. Bette was super accommodating and answered all of my question quickly. We will defiantly be renting with them again! Stayed here for 3 nights. The studio was right on the beach. All the amenities we needed were present. The washer and dryer came in handy for all of our soiled linens. I loved it. It looks EXACTLY like the pictures! The only thing that can be improved is the decor, but that’s super minor. Will stay again! The condo was clean and cozy. We traveled with 2 adults and one child, it was just enough space with a great view! Completely enjoyed our vacation. Everything was perfect. From the location of the condo to golf, shopping and the beach. The condo was well maintained and clean. We loved the extra security that this condo offered. The location was great, also. Everything exceeded our expectations. We plan on coming back next year! Exceeding expectations, now that is awesome!! The weather was wonderful. Low 80's everyday. We came to celebrate our 41st wedding anniversary, and we had a great time. We are so thankful you see what we see. My husband and I loved the condo(studio) apartment. Everything was clean, plenty of room. Our favorite spot was the balcony while enjoying our morning coffee. We were new to the area so the only complaint was the location. We wanted to be closer to Destin; closer to all the attractions and traffic was very busy to commute into Destin. But overall this was a great rental. We would highly recommend the drive to Destin to check out Boshamps it was well worth wading through the traffic best meal we had while visiting. This place is great! We spent our honeymoon here for the week and it was fantastic. Super easy access to the beach and an amazing view of the Gulf. A huge shoutout to Bette as she is an absolute pleasure to communicate with. Has all the amenities you need. I may have missed it in the description but there is a washer and dryer which came in handy. The bed was extremely comfortable as well. I would highly recommend staying here and would definitely book again! I am so glad your honeymoon was enjoyable. Come back often. And thank you for seeing my efforts. -Property description was accurate and the location was very nice. Nice view of the beach/ocean off the balcony and a short walk to the sand. Beach chairs in the condo were a very nice addition. - Property was clean and well maintained. - Overall good stay, location was very nice with a good restaurant/bar within walking distance as well as shuttle service to more bars and nightlife. A 25 minute drive (because of traffic) is required to some of the true Destin activities/restaurants but this area was definitely nice and enjoyable. love this place convenient to beach and lovely grounds. will go back again and again. the view is wonderful. Best kept secret in the region! Highly recommend Destin Memories, LLC. I've leased the same condo with Bette Butler for four consecutive years now. Bette is responsive to customer wants and needs and very quick to return emails, texts, and phone calls. The property is immaculately maintained, located literally on the beach and for the price, the best kept secret in the SanDestin, FL. You will be very pleased with this rental! We are so glad you enjoyed the unit. Carl, I am thankful that you were pleased with this awesome end studio affording just spaciousness and views for a great price! Our stay went well other than the apt upstairs was replacing their floor and there was constant pounding from 8am each day. The apt was nice though and we had great communication with Bette at Destin Memories. I am so sorry about the noise. I knew nothing about this flooring issue. Please come back. I am glad I was helpful to you. Mattress is only 4 months old, thus it just be personal choice. So glad you enjoyed your stay. 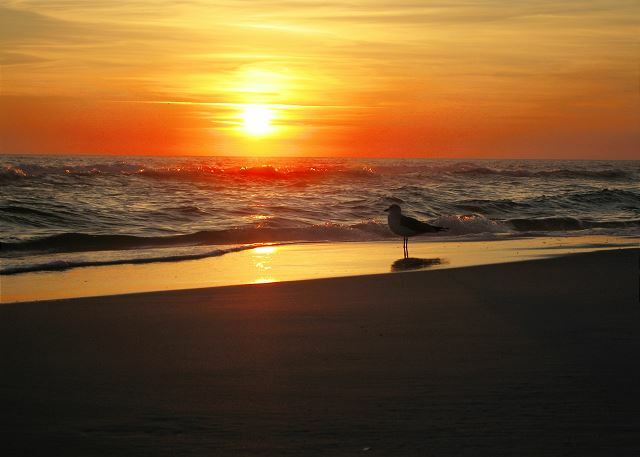 Destin Memories is a great company toward with - very professional, courteous and prompt. The Condo unit (Beachside 11 # 4237) was a disappointment. The bathroom and furnishings have been updated, but a lot of small things were very annoying in the unit. The bed linens were cheap, rough and scratchy, broken electrical plugs, a kitchen drawer facing that will not stay on, broken toilet paper holder. Would definitely book with Destin Memories again - will definitely NOT book this unit again. This was our first time renting a condo and overall it was a great experience. My only suggestion would be to include a more detailed list of kitchen supplies. There were some things I would've brought with me had I known. E.g.,wooden spoons, spatula and ahand mixer. Receiving the info packet at least a week in advance like others in our group did would be helpful. We continue to revisit this property. Everything as always clean and great location. I would recommend this property for a couple just needing to get away. We plan to visit again very soon. Thanks for the quick and easy booking. Thank you for seeing this property as it really is. We look forward to your return.